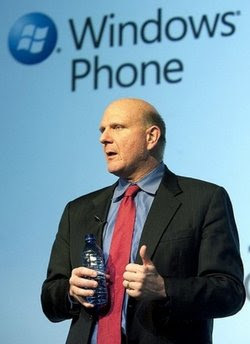 Microsoft (MSFT) has finally unveiled its Windows Phone 7 operating system, bringing another mobile platform to compete with Android. 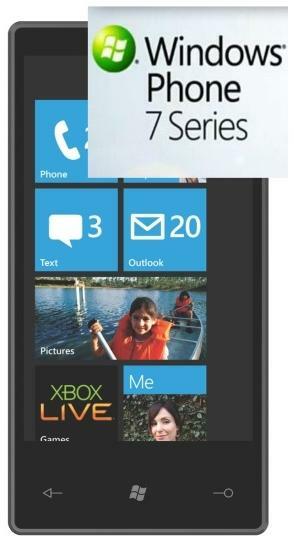 With a powerful 1GHz Snapdragon processor and hi-rez screens, the initial Windows Phone 7 devices will be fairly well equipped to match many features on Android devices. For gaming and entertainment especially, it’s clear that certain standards have been established for smartphones. Hardly fazed by Microsoft’s launch today, Android rolled out a Market update for non-Froyo users. You now get tabbed app browsing, bulk updates for apps and auto-updates for apps you select. The changes are important towards improving navigation around the Android Market, making it easier to manage what some deem are the most important features on your device. With the likes of AppBrain making searchable apps for managing your marketplace, Android itself needs to keep pace. Another entity that is interested in its own front for the Android Market is Best Buy (BBY). The electronics retailer mentioned interest in experimenting with an app store for Android, which would be a great way to interface and market to their customers. Coming off the heels of Amazon’s (AMZN) delve into Android Market storefronts, we’re sure to see a deep and ongoing evolution for Android’s economy. DC Comics is likely to reap the benefits of this marketplace maturation, with plans to release an Android app in the coming weeks. The publishing company has managed to remain relevant throughout the generations, and having a strong mobile front is just another wave of the future. A number of print media publishers have turned to the mobile industry lately, as it’s reached a point of reasonable distribution and montization.